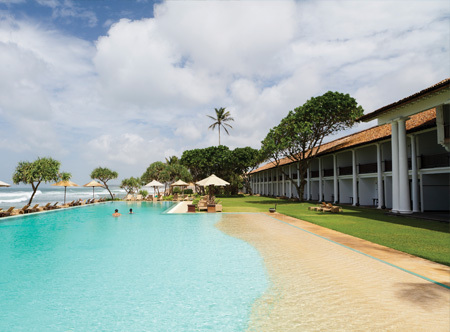 Mimicking the style of a powerful ancient fortress, situated alongside the glimmering sands of the golden southern coast and occupying vibrant gardens, prepare to be delighted by this Sri Lankan gem. 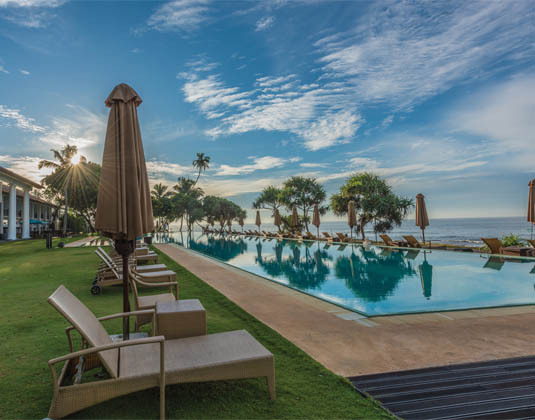 Only minutes away from historic Galle and close to picturesque Koggala Lake, giving it a location to challenge any beachside retreat. 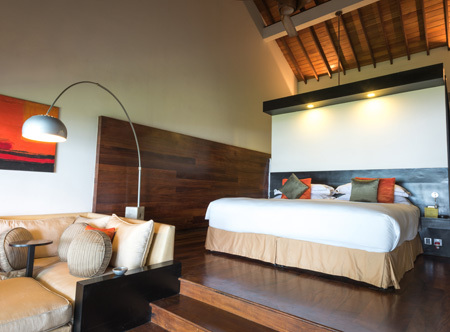 Rooms are the epitome of luxury with a distinct style and naturally modern twist; ocean view rooms are particularly recommended. 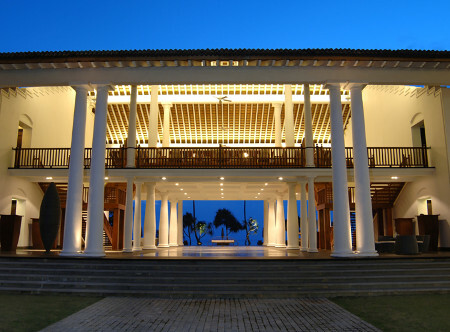 The spa offers an array of signature treatments and dining is an experience to relish. 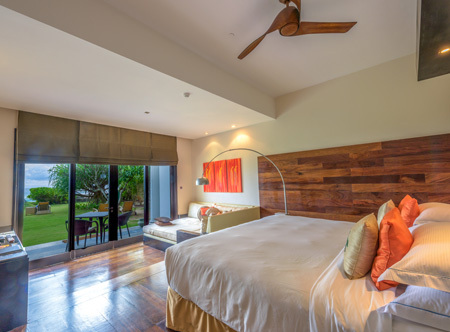 In spacious Fortress rooms with air-conditioning, open plan bathroom with bath and separate shower, DVD, mini bar, safe and balcony or terrace overlooking the courtyard or garden. 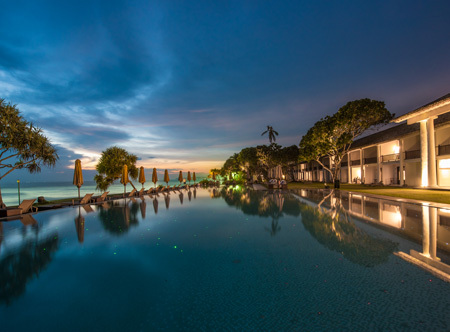 higher floor ocean rooms with split-level living area, ground floor beach rooms with jacuzzi bath, ground floor beach splash rooms which offer a private indoor plunge pool, two storey seafacing loft rooms with separate living room, indoor private plunge pool and balcony. Breakfast. Four course a la carte half board, full board and premium all inclusive available. 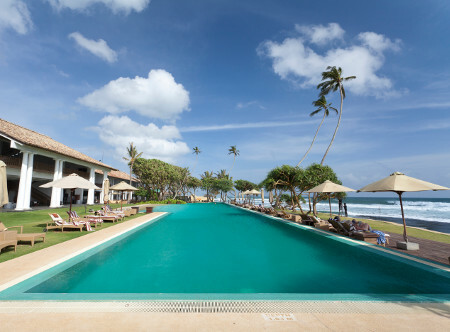 2 hours from Colombo airport. Domestic flights are also available. 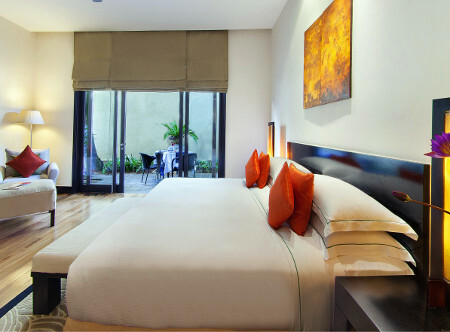 01 May-25 Jul 19 and 01 Sep-31 Oct 19 if you book at least 45 days before arrival and stay at least 4 nights. 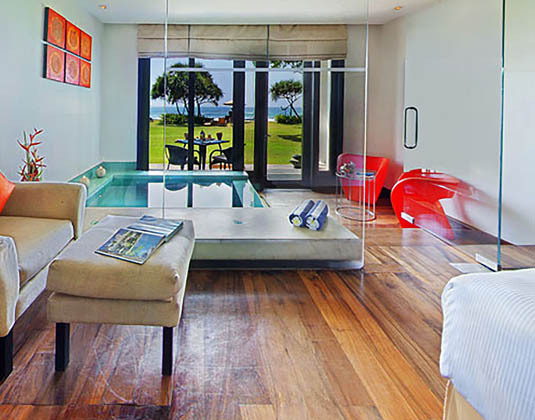 Upgrade is from a Fortress Room to an Ocean Room or an Ocean Room to a Beach Room.